During the Ming Dynasty numerous new animal themes were created to convey political and ethical messages current at court. As the result a sophisticated language of Chinese animal painting was developed, employing both the animals’ symbolic associations and homonymic puns. Hou-mei Sung’s exciting rediscovery of some of these lost meanings has led to a full-scale investigation of the evolving history of Chinese animal painting. Distinct symbolic meanings were associated with individual motifs, but all animals were assigned a place in the universe according to the Chinese concept of nature. From the very early yin/yang cosmology to later developments of Daoist and Confucian philosophies and ethics, Chinese animals gained new meanings related to their historical contexts. 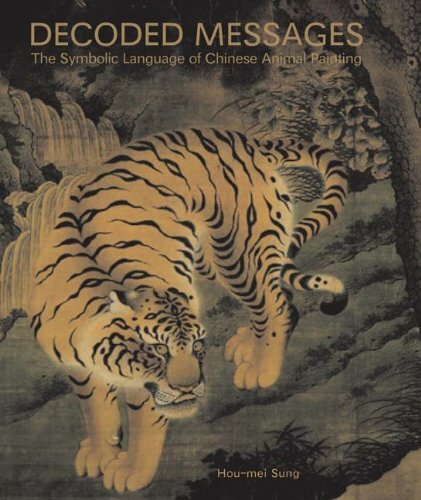 This book explores these new findings, using the colorful animal images and their rich and evolving symbolic meanings to gain insight into unique aspects of Chinese art, as well as Chinese culture and history.